Set within a national park, reaching to the flat-topped Table Mountain gives you a thrilling experience which is also known as the most photographed landmark in South Africa. Enjoy the thrilling birds-eye view overlooking the Robben Island spread in the North and the Atlantic seaboard to the Western and Southern area. Cape Town is enriched with some true scenic beauty, enriched with the best beaches in the world. Clifton Beach is certainly the trendiest among all, located on the west Atlantic side only ten minutes drive from the city center. Not only a single beach, Clifton is known as a series of four beaches divided by a stretch of granite boulders. All these beaches have almost pure white sand and offer the alluring picturesque and sunsets. 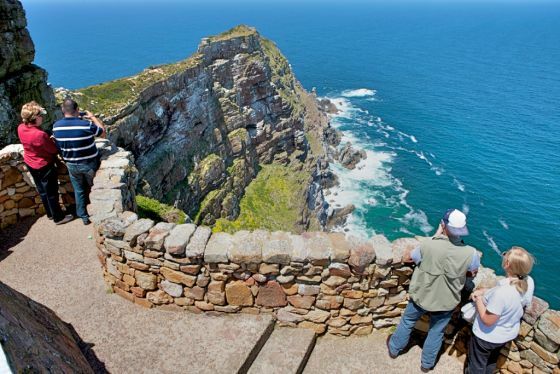 If you are fond of the spectacular scenic beauty, you must visit Cape Point which is located at the end of the Cape Peninsula. This is amazingly picturesque, especially with high boulders and stunning ocean views. This is also a big part of the Table Mountain National Park. You can explore almost 250+ species of birds, baboons, and zebras. It has gained a tremendous popularity for its plant life and photographer's paradise. 4.Muizenberg Beach: This is a coastal suburb of Cape Town where the beach-water is warmer than other Cape Beaches. This is the biggest attraction in Cape Town, especially for the surfers for its amazing waves that give a unique surfing experience. If you are fond of the adventurous water sport, you would love this place. In the eastern slopes of Table Mountain, Kirstenbosch is located as an integral part of the Cape Floristic Region UNESCO World Heritage site. The best practices have been preferred and practiced to preserve the country's indigenous flora. 6.Dig in Deep with Great White Sharks: If you are a fear-defying thrill lover, you can't handle this ultimate heart-pounding experience. This is the best opportunity to try some adventure amid nature's pure essence, especially when you can't expect such an adventurous experience. A fully-dark shark-diving will take you to the open ocean off the shore. This is a buzzing entertainment quarter stretched by two major harbor basins and perfect for fishermen. If searching the top tourist attractions, you would feel fond of the old buildings and architecture well-preserved and restored since a long time. You can also explore some amazing shopping options, theaters, drama, jazz venues, restaurants, and hotels as well. 8.Chapman's Peak Drive: This place is affectionately called as "Chappies" by the locals where you would gain the jaw-dropping experience and unique driving routes. Enjoy the spectacular toll road and the amazing route by following the road snakes for about nine kilometers between Noordhoek and Hout Bay through the panoramic Chapman's Peak point. Enjoy the five minutes drive west of the city center to reach Signal Hill that offers stunning views over Cape Town. The hill forms the body of the adjacent Lion's Head peak. Local travelers and visitors would love the exploration of best sights of this place to soak in the alluring beauty of the sunset and shimmering lights of Cape Town. 10.Bo-Kaap: This is the Malay Quarter which is setting a captivating view with its colorful neighborhood which is not so far from Central Cape Town. It is well-painted by using the fresh yet bright colors and uniquely designed. The perfect setting of cobblestone streets creates amazingly beautiful views, perfect for photography. After reading this, you must be feeling compelled to visit these places right away. However, enjoy the most on your next trip by picking the best discount flights straight to Cape Town.